Quote: "According to first investigations, two motorcycles in the garage went up in flames and set cars on fire." Quote: "About 40 people were injured on Thursday when a big fire broke out in German city Stuttgart, according to German media Focus. The incident took place in an underground parking garage of an apartment building on the morning of New Year's Day. Dense smoke rose through open doors and spread to other areas of the building, local police told media." Quote: "A firefighter extinguishes a fire in an underground parking lot in Stuttgart, Germany, in the early morning hours of 01 January 2015. 40 people were injured, at least ten cars burned, and 160 emergency personnel were at the scene." Quote: "The Adelaide Hills is braced for a fourth day of the worst bushfires South Australia has endured in 30 years." Quote: "The latest update from authorities this afternoon has confirmed 26 homes have been destroyed in the fire, which is the worst since the Ash Wednesday blaze in 1983 which killed 28 people." Quote: "People from Warsaw and even into Central Indiana to Nappanee, South Bend and as far north as Muskegon reported feeling and hearing it. Some even said they saw a flash of light in the sky." Quote: "WNEP and PaHomePage.com reported that 'police and emergency officials say several fire departments were dispatched to try to locate what caused the boom in the back mountain, but they had no luck locating it. They couldn't find any damage either.'" Quote: "Braunschweig are troubled: A mysterious blast every night - and no one knows where he comes from. The police have no explanation for it." Note: Responders just trained to deal with the aftermath of a 10-kiloton explosion in coastal New York City, not far from the 2.5 gigaton methane clathrate deposit that's dissociating (melting) off the US East Coast, mentioned in the 2014-10-22 update. There's enough explosive force in just that ONE deposit to cause a quarter of a million 10-kiloton explosions. 'Coincidentally', 10 kilotons is about the maximum explosive force of a large gas plume exploding. The estimates for such an explosion in Manhattan were for around 100,000 people instantly killed. More methane and hydrogen sulfide entering the atmosphere, more fires and explosions, it's as simple as that. It looks like we're getting scarily close to the entire-cities-exploding stage now. Quote: "Police and Fire departments responded to Broad St. in Red Bank after underground power lines caught fire, causing manholes and metal vaults to explode into the air on Sunday afternoon. As a result, there were reports of heavy smoke and power outages in the area according to Red Bank Fire Chief Joe Lauterwasser. Red Bank Catholic and St. James schools are closed Monday because of the electrical issues related to the manhole explosions." Quote: "Police sources said no suspicious item was found in the room. 'After preliminary investigation we can say that since the room was shut from inside, involvement of external elements can be ruled out. The most probable possibilities are drug overdose or food poisoning,' said D P Singh, DC (Central)." Quote: "Subarna, however, denied having consumed any narcotic substances, said a police official. She told the police that around midnight, she had seen Sumantika working on her laptop. At 8 am, she had seen Sumantika sleeping. The next she woke up, Subarna found herself at the hospital." Quote: "Neighbors calling 911 reported hearing an explosion just after 4 a.m. Fairfield County Sheriff Dave Phalen said those reports were under investigation, and the cause of the fire was unknown. 'Oh my God! ... The trailer across the road just blew up,' reported the first caller, whose name wasn't included in an audio recording released by the sheriff's office. 'I'm going to say they're probably all there. Oh my Lord! Something just blew up over there. Holy crap!'" Quote: "The fire was the third multiple-death home fire in Ohio in less than four weeks. Three children were killed in a Dec. 12 house fire in Hamilton in southwest Ohio, and a woman and three grandchildren were killed Dec. 26 in a fire near Washington Court House, about 40 miles southwest of Columbus." Quote: "Six children have been badly injured and a man has suffered serious burns after their boat exploded into flames amidst holiday celebrations at Lake Nagambie. Nearby holidayers waded through heavy smoke to pull the screaming children from the boat to safety." Quote: "Shomari Stone reports on a manhole fire that has caused thousands to lose power near Dupont Circle." Quote: "Springfield Assistant Fire Chief Rodney Rahrle confirms the fire is at Tri-State Pallet, an industrial complex at Monroe and Gallagher streets. It started shortly after 6:30 p.m. and was still burning after 8:30 p.m. Rahrle said crews were trying to keep flames from spreading to a nearby building just east of the fire that was full of tires." Quote: "He said he got a call about the fire about an hour ago. 'It was quite big, they're getting it down now but the whole thing every now and then just keeps getting out of hand, there's just about a thousand cars probably.' The authorities are warning the public to stay away because the fire is billowing toxic fumes and there could be LPG cylinders in the yard which could explode." Quote: "According to the Scott firefighters, the 40 foot motor home was fully engulfed in flames, parked 6 feet from a home and three feet from a semi-tractor trailer." Quote: "The driver of a bus taking students to a Rochester elementary school Tuesday morning apparently suffered a heart attack before the vehicle collided with another school bus and a tree, sending eight students and another adult to the hospital..."
Quote: "He said medical staff told him they did not find any traces of drugs in Roberto’s system yet, but there are so many new illicit drugs on the market that tests often don’t detect them." Quote: "Cross wrote in his report that Roberto 'was sweating profusely, his eyes were wide open with a blank stare as if staring through you and was foaming around his mouth and nose area.'" Note: They're not looking for hydrogen sulfide, so they won't find that, although it is a drug in the sense that it's a mind-altering chemical, which actually is 'huffed' in some poverty-stricken areas around the world (which is insane). It also breaks down within hours within the body anyway, so it's far too late to find it now even if they wanted to look. If they looked carefully, however, they might see the damage to his brain and possibly other organs too, as hydrogen sulfide is a broad-spectrum poison which affects all systems in the body but particularly the neurology. Hydrogen sulfide can also heat you up, thus the rise in incidents involving people going crazy and getting naked, even in the depths of winter. This event sounds somewhat similar to the original face-eater incident, which happened in 2012 on the MacArthur Causeway over the ocean, about 50 miles from Key Largo, and no drugs were found in his system either. A foul stench blew through coastal Santa Rosa on the Florida Panhandle in December 2014 too, mentioned in the 2014-12-14 update. Florida is downwind of the Gulf of Mexico, North America's sewer, so there will be many incidents such as this in Florida, to go along with all the people and animals mysteriously dropping dead in Florida. Two college students, young women, were just found in their dorm room, foaming at the mouth, one of them dead and the other survived but experienced a bit of memory loss, in Muchipara (India), mentioned in the 2015-01-05 update. India is basically a country-sized version of Florida, a peninsula surrounded by the ocean on three sides. Quote: "It smells horrible, like garbage/rotten eggs." Quote: "Capitol hill has smelled like sewage for at least the last hour." Note: They didn't tell anyone to shelter-in-place, and nobody was seen wearing gas masks this time, so this particular cloud of hydrogen sulfide was apparently not as concentrated as the cloud that hit Moscow recently, mentioned in the 2014-11-10 update. And this cloud was way less concentrated than the cloud of 'toxic gas of unknown origin' that hit coastal Rayong (Indonesia), sending thousands of people puking and fleeing their homes in the middle of the night, mentioned in the 2014-06-08 update. And there was also the foul stench that just blew through coastal Santa Rosa (Florida) recently, mentioned in the 2014-12-14 update. And so on. There will be more clouds, and they will become larger and more concentrated as time goes on. The first cloud that's 0.1% hydrogen sulfide will kill pretty much everyone in whichever city it happens to hit, and that's most likely to be a coastal city, like Rayong or Santa Rosa or Seattle. The above events provide a general overview of the types of events that are now happening regularly and with increasing frequency: another home exploding and burning in the wee hours and killing a bunch of people, another boat exploding and injuring people, another underground electrical fire, another gigantic fire at a pallet business, another auto salvage yard going up in flames, another parked vehicle bursting into flame at a home, another driver collapsing dead at the wheel and crashing, another person burning to death when a vehicle ignites, another man with no drugs in his system going crazy and dying shortly later on the coast in Florida, and another coastal area being hit by 'rotten egg' odor. 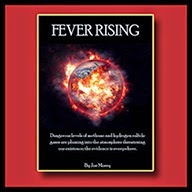 Expect to see a whole lot more of all of these types of events as time goes on and the atmospheric contamination problem continues to intensify. Quote: "A news release from the city said the vehicle was parked in a driveway near the Baylor Medical Center at Frisco on Warren Parkway when firefighters were summoned at 1:17 p.m. They found the car engulfed in 'heavy' flames with the Frisco couple inside." Quote: "Property records show the couple has owned their home in the Frisco Lakes community since 2006." Note: A man was just killed the day prior when his RV trailer went up in flames shortly before midnight in coastal Augusta (Australia), mentioned in the 2015-01-06 update. The day before that, a person was killed when their car burst into flame at 4:30 AM on the Currumbin Creek Bridge (Australia), mentioned in the 2015-01-06 update. And so on. From the full hypothesis: "Vehicles of all kinds will continue to burn, as they have been, and the number of vehicular fires will continue to escalate, inevitably resulting in a corresponding increase in the number of people being incinerated in their vehicles." Quote: "I was outside and suddenly there was a loud noise like an explosion, testifies Charlotte who works at the Sainte-Marguerite Hospital. It only lasted a few seconds but it was impressive. Colleagues have even told me they saw the buildings windows move..."
Quote: "Police patrols were sent there to try to understand this phenomenon. In vain the moment. 'No material damage was found,' said the prefecture. The Strasbourg National Seismological Centre has even been consulted to see if there is an earthquake. But no seismic activity has been recorded accurately scientists." Quote: "No damage, no smoke, nor any explanation. For now, the mystery remains on the sound of explosion heard and felt on Thursday afternoon in southern Marseille . At 14:30 on Thursday, the detonation even vibrates the windows of some buildings provide several witnesses. Strangest inhabitants of Sanary-sur-Mer, 50 kilometers from Marseille claimed to have heard this big 'boom'. Same story off Cassis. The area, scene of the event, would therefore be on a coastline of over 50 km." Quote: "Eyewitness News viewer Phillip Castro said a sudden explosion pushed a manhole cover into the bottom of a Toyota Prius and caused the car to fly about 5 to 6 feet in the air. 'It was a really violent crash. The back of his car went airborne and came crashing down,' Castro said." Quote: "The driver of the Prius said all he remembers is waking up about 20 minutes after the blast lying on the street and seeing a crowd surrounding him." 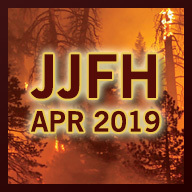 Quote: "The fire started shortly after 4:30 a.m. and was reported by someone driving past the Mountain Lumber Pallet Co. at 3583 W. Pine St., according to WGHP/FOX8, the Winston-Salem Journal’s newsgathering partner. An employee who lives next Mountain Lumber heard what sounded like an explosion and also called 911, said Doug Jones, the Surry County fire marshal." Quote: "Crews said it is a difficult fire to fight because of icy conditions and because the buildings are full of wooden pallets." Note: And here's yet another pallet business being destroyed by fire/explosion. Two lumber companies just went up in flames too, one at 6:23 AM on Spring Street in Mosheim (Tennessee) and one near Floodwood (Minnesota), both events mentioned in the 2015-01-07 update. A massive inferno just burned through another pallet company in Springfield (Ohio) too, mentioned in the 2015-01-06 update. From the full hypothesis: "Wood-related fires will escalate, including fires at pallet companies, wood-carving businesses, furniture businesses, door companies, cabinet companies, etc." Quote: "The fire initially broke out at around 9:15 a.m. Saturday in the above-ground parking lot of the 10-story Daebong Green Apartment building in downtown Uijeongbu when a motorcycle that seemed to belong to one of the residents caught on fire, the city’s fire department said. The blaze spread to other vehicles in the parking lot because of strong winds, according to the Uijeongbu fire department, burning all 12 parked cars." Quote: "A fire destroyed a recreational vehicle in Gibsonton early Saturday and spread to an adjacent semitrailer and mobile home, officials said. The semitrailer was also destroyed and a bedroom in the mobile home was damaged, officials said. The resident of the mobile home escaped without injury and the RV was not occupied. Hillsbororough County Fire Rescue said it received a 911 call about the fire at 8803 Nundy Ave. just after 5 a.m. Crews arrived and found the RV engulfed in fire, and flames spreading to the semitrailer to the west and mobile home to east." Quote: "The fire started in a truck parked in a garage and appeared to be under control before flames ripped through the adjoining house, according to Glastonbury firefighters." Quote: "In the afternoon of Jan 11, 2015, an explosion occurred on the cargo deck of the 'Hanyang Ace', while she was loading nitric and sulphut acid in Ulsan. At the time of an accident there were 14 crew on board, four of whom were injured in the blast and resulting gas leak." Quote: "Sunday morning a fire at Nelson Boat Yard in Gulf Shores destroyed one boat and damaged several others, according to the Gulf Shores Fire Department." Quote: "One person has died after smoke poured into one of Washington, D.C.'s busiest metro stations late Monday afternoon, creating what authorities described as a 'mass casualty' incident, a transportation official confirmed. Sixty-eight people were taken to area hospitals for injuries, two of which were described as critical, after a disabled train became trapped inside of L'Enfant Plaza Metro Station around 3 p.m."
Quote: "A young black man had a seizure. Thank God the firefighters had made it on to the train by then. We were trying to escape through the back..."
Note: Here's a Google Maps link of the area. Hydrogen sulfide is a heavier-than-air gas so it will tend to accumulate in low-lying areas like subways and other underground facilities. It's also reactive with copper, especially electrified copper, and rusty iron/steel, both apt to be found in such places, making fires and/or explosions more likely. And it's a neurotoxin which affects the brain (but also other organs), and can cause seizures, unconsciousness, sickness, coma, death. The fires will burn much of the gas away, but there may sometimes be some left in the smoke, which will make fires much more likely to cause casualties. Quote: "Berea residents say not enough is being done to combat an underground oil shale fire which has blanketed the area with the thick smell of sulfur. The fire has been burning for two months, and no one seems to know how to stop it or how bad the problem could become." Quote: "However, a mile away, the impact of the smell alone is contributing to some residents packing up and leaving. 'At the end of the month, I'm actually moving south of town,' said Jennifer Marciniak. Others are concerned about what contaminants they might be breathing in, and the lack of notification about the fire from city and railroad officials. 'For weeks now, residents have been breathing in this stuff,' Strange said." Quote: "The prison, a stone building with castle-like parapets, was built in the late-1800s and sits a few blocks off the banks of the Susquehanna River." Quote: "An explosion near the Barnett Reservoir lit up the skies Wednesday morning. It erupted around 6:20, off of Three Prong Trail. That's east of the Reservoir." Quote: "He said: 'I saw a flash and smoke coming out of the ground. There was no indication of how it had happened. It blew a man hole cover off and it nearly hit an old lady. She was very shaken up – she just said "it nearly hit me". My first thought was to get out of there. It was quite scary.'" Quote: "Zoe Smith, 27, who lives a few doors away from where the explosion happened, said: 'I went shopping two minutes before it happened and I came home and went into my house and heard a big explosion. All the electricity cut off so I came outside and I saw the pavement had just exploded up from the ground. It was mad and there were massive flames - about seven foot high. I have never seen anything like it.'" Quote: "No one was in the building at the time of the fire. The cause of the fire is still unknown, but Karori Fire Station Officer Nic Bush says the fire is believed to be suspicious." Quote: "A small plane caught fire on Thursday at Kendall Tamiami Executive Airport. Miami-Dade Fire crews responded to reports of a 20 to 30 foot plane on fire at the aviation school." Quote: "A large fire broke out at the Comfortparc marina in Wessem, Limburg at 4:30 a.m. Thursday destroying a few dozen luxury yachts and houseboats. The burnt down ships are beyond repair and considered lost, reports 1limburg on their webpage." Quote: "About 100 people are missing after a boat caught fire and sank in a river in the Central African Republic this week. The sinking happened on Monday after the boat’s motor exploded, starting a fire that quickly engulfed the vessel and forced terrified passengers to jump overboard. The boat was carrying an estimated 100 people down the Oubangui river from the capital, Bangui, when the fire broke out near the village of Modale, officials said on Thursday." Quote: "Only one body has so far been found, he said, that of a 'child who is being taken back to Bangui with his mother, [who was] one of the few survivors. It is hard to say how many people have died because there is no rescue team [in the area]'." Quote: "Despite all intervention of the fire rescue the blaze could not be contained. Both from sea and shore teams were trying to control the fire. Four fire fighting tugs were on scene. However, the ship loaded with 5700 tons hay was completely ablaze with flames raging meters high and the sound of explosions." Quote: "One of the boats owners, who only identified herself as Barbara, said she was wiping the boat with a dry cloth when she suddenly smelled smoke. 'I looked and I see smoke coming out of the back,” she said. “The next thing you know it just went up in flames.'" Quote: "Global average land temperatures were 1.80 F above average, while ocean surface temperatures were 1.03 F above average, the agency said. Land temperatures alone were only the fourth-warmest on record, but ocean temperatures were the warmest, which helped to make 2014 the warmest year overall." Note: So LAND temps (which is to say 'air temps') weren't the warmest but OCEAN temps were the warmest ever recorded, and those ocean temps pulled the average up and made it the hottest year ever recorded overall. In other words, the oceans are warming faster than the air. That's Real Bad News because the warmer the oceans get, the more methane and hydrogen sulfide that will be released into the atmosphere and the more that human civilization will burn and the more that people and animals will go insane, sicken and/or die. And where is all that oceanic heat coming from? A significant amount of that heat has to be coming from BELOW, from volcanic activity and magma, which also explains all the new volcanic islands forming in the last year or two, the mysterious oceanic glow spotted by airline pilots, and all the volcanic eruptions that have been occurring around the planet, and especially in the last few years. Quote: "The microbes, which have yet to be classified and named, exist in massive undersea aquifers — networks of channels in porous rock beneath the ocean where water continually churns, researchers say. About one-third of the Earth's biomass is thought to exist in this largely uncharted environment." Note: These sulfate-reducing microbes are what produce hydrogen sulfide. These are the most ancient type of life that exists on this planet. They were here long before oxygen-using life got a foothold and they will be here long after there are no human beings left alive. The more volcanic activity that occurs in the oceans, and the warmer the oceans get, the better these microbes will do, which results in large-scale methane and hydrogen sulfide releases, which ultimately flips a planetary 'reset switch' and most life on this planet - especially oxygen-using life - sickens and dies, as has happened in previous extinction events. The switch has been flipped. We're enduring the consequences now. Quote: "Sulfate-reducing bacteria are those bacteria that can obtain energy by oxidizing organic compounds or molecular hydrogen (H2) while reducing sulfate (SO2-4) to hydrogen sulfide (H2S). In a sense, these organisms 'breathe' sulfate rather than oxygen in a form of anaerobic respiration. Sulfate-reducing bacteria can be traced back to 3.5 billion years ago and are considered to be among the oldest forms of microorganisms, having contributed to the sulfur cycle soon after life emerged on Earth. (There are a few genera of Archaea that can also reduce sulfate.)" Quote: "Most of the 1,000 villagers have come here on foot and have stood for hours under the hot sun - not because they feel sick, but out of fear. They want to know if they will be the next victims of a mysterious kidney disease that has killed thousands of farmers in Sri Lanka's rice basket. Many have watched neighbors and loved ones - some only in their 30s - quickly succumb to deaths after their kidneys gave out. In the worst-hit villages, it kills as many as 10 people every month. No one knows why." Note: From the full hypothesis: "Renal problems - e.g. problems with kidneys - will escalate, as is already happening with crop workers on the western coast of Central America." Quote: "Mass gas poisoning occurred in a school in Iran’s Kerman city on Jan.18, Reza Jafari, spokesperson of the Disaster And Emergency Medical Management Center of Kerman province said. Jafari said 59 students suffered from gas poising in the school, Iran’s IRNA news agency reported on Jan.19. An ambulance team rendered first medical aid to the students. Some of them have been hospitalized." Quote: "Two houseboats and a smaller boat were destroyed in a raging fire at a marina on Long Island overnight Monday. The Port Washington fire department responded to a call of a boat fire in the Haven Marina on Manhasset Bay in Port Washington just after 2 a.m."
Quote: "They're not treating the death as suspicious." Note: Nothing weird about that, people burning to death at beaches is totally normal! Quote: "Billowing fireballs over the Southcross Energy natural gas plant in Gregory were seen miles from the site." Quote: "Eighteen people were injured in a fire at a high-rise building in the Bronx, fire officials said. Firefighters were still battling some flames on Washington Avenue almost two hours after it began early Tuesday morning in Claremont." Quote: "A strong smell of sewage and reports of at least three employees complaining of headaches moved managers to shut down a beachside bank this morning, officials report. 'They had the same call yesterday. The employees said there was a smell of sewer gas," said Capt. Justin Grimes of the Cocoa Beach Fire Department.'" Quote: "The fire service said the explosion had 'narrowly' missed the child." Quote: "Rising flame and smoke emitting from underground mines in Ghanudih project under Bastakola Area of Bharat Coking Coal Limited (BCCL) around 12 km from district headquarters triggered panic among 20,000 population in Jharia township. Eyewitnesses said, around 20 feet sheet of smoke and flame were billowing out from different seams of underground mines since Tuesday evening." Quote: "Wilson Rumbeiha, a professor of veterinary diagnostic and production animal medicine, said the poison targets multiple systems in the human body, including the respiratory and cardiovascular systems and the brain. In high enough concentrations, exposure to the gas can be acutely fatal. But Rumbeiha’s research is focused on the long-term consequences of hydrogen sulfide poisoning in survivors. He said exposure can bring about psychological and neurological problems in humans, sometimes months after the exposure. 'In some cases, survivors can end up in a permanent vegetative state,' Rumbeiha sad. 'We don’t have an antidote, and little is known about the mechanisms behind how it works. It’s really a novel area that hasn’t been investigated very well.'" Note: So as more people continue to get hit by hydrogen sulfide around the world, peoples' brains will take damage and they'll experience psychological and neurological problems, sometimes months AFTER exposure. In other words, people are going to be going crazy in rising numbers and from I've seen so far it looks like a fairly high percentage of people so afflicted tend to be violent - sometimes extremely violent - as they succumb and go insane. Quote: "A man hole cover was blown off by a fire on Galen Street near Morse Street on Saturday afternoon. A fire was reported in the manhole. The Watertown Fire Department was called and looked for possible extension of flames into the basements nearby homes but did not find any fire in the homes." Quote: "Flames ripped through the South Shore Harbor Marina in League City early this morning. Authorities say the fire broke out on a yacht and spread to a smaller boat nearby. The fire started just after 2:30am." Quote: "Holidaymakers on board the Boudicca were told to don life jackets and gather at emergency muster stations, according to the son of one passenger. The fire at 04:00 BST left the ship 'listing' and 'in pitch black', said Dave Tonkin, whose father is onboard." Quote: "No injuries were reported, but there were at least eight boats inside the building at the time of the fire and the overall damage estimate to be at least 1 million dollars." Quote: "What is widely being treated as an explosion in the eastern suburb about 9.30pm, is being put down by police as an unexplained mystery." Quote: "Many of the boat owners live out of town and didn't know anything was wrong until they saw televised images of flames devouring their boats or got phone calls from friends." Note: A number of similar incidents in the last few years have resulted in children 'dying' and 'coming back to life', often to die again (for real) shortly afterwards. Hydrogen sulfide is known to put rodents into a kind of 'suspended animation' where there is virtually no heartbeat and the body temp drops to room temperature, making them look dead when they aren't. Scientists tried it with pigs too and it didn't work. So my working theory is that it's the size of the mammal that affects whether the 'suspended animation' effect is possible - rodents are small, pigs are large. Children and cats are small too, and it looks like they're small enough that sometimes they get put into suspended animation and are declared dead, even by trained doctors. There've been a very few similar cases involving adults too. In those cases, they didn't mention the size of the person, but they happened to people who were old and/or who lived in poverty-stricken areas, so they may have been frail and/or skinny, so this might rarely affect adults too. In any case, for this to happen at all, it must take just the right dose over just the right amount of time, else you just end up with a corpse. Ya gotta wonder how many people have been presumed dead and buried just to awaken later in a coffin and suffocate, probably mostly children. Quote: "The man came out swinging with swords in both hands around 1:20 a.m. at a home in the 1500 block of Martin Luther King Jr. Boulevard, Lansing police Public Information Officer Robert Merritt said. Firefighters had responded to the home to help the man's friend, who was having a seizure, Merritt said. He said the armed man was upset because he felt firefighters weren't helping his friend quickly enough." Quote: "An explosion was heard around 15 hours throughout the city of Le Havre and beyond. It would be about the rue Buffon." Quote: "An Alaska Airlines flight deplaned normally after a report of a smoky odor on the plane. Sea-Tac Airport spokesman Perry Cooper said a fire alarm went off after the plane landed in Seattle." Quote: "The ferry was near the breakwater of Hareid when it abruptly turned and passengers were notifitied about a fire with loudspeakers. Smoke emerged from ventilation hatches. The crew extinguished the fire quickly." Quote: "The fire destroyed 11 public works salt spreaders with attached snow plows, three street sweepers, three repaving vehicles, a road maintenance truck and a fire engine that was awaiting repairs, township officials said." Quote: "The fire department confirmed a second-alarm at around 8 p.m. Friday on Ramsdell Road. The town's entire fleet of plows have been destroyed. Now, the concern is how the town will clear snow Monday." Quote: "The state fire marshal's office said five dump trucks used as snow plows, one road grader and several other vehicles that were stored in the town garage were destroyed. The damage could exceed $1 million." Quote: "Investigators said the fire apparently originated in the engine of one of the trucks and spread." Quote: "Firefighters remain on the ground in Moscow, where overnight, flames ripped through the library of the city's Institute of Scientific Information on Social Sciences." Quote: "A seven-alarm fire engulfed a warehouse crammed with official documents near the waterfront in Williamsburg, Brooklyn, on Saturday morning, sending plumes of brown, acrid smoke into the air that were visible as far away as New Jersey." Quote: "A marine unit has also responded. The facility takes up nearly an entire city block." Quote: "Local residents told the Daily Star newspaper that the factory recycled plastic and made packaging for food for the domestic market."